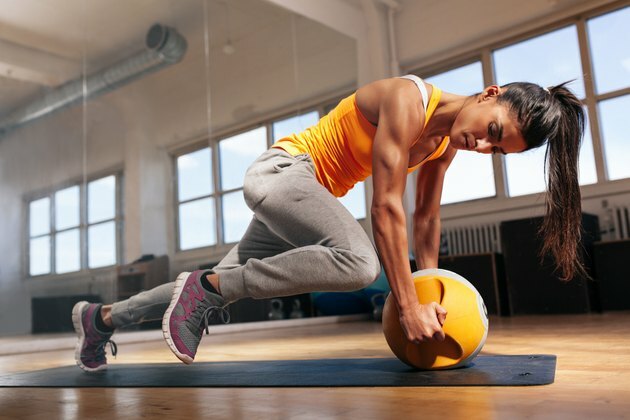 Ectomorph, endomorph and mesomorph might sound like alien races straight out of a sci-fi series, but knowing which of these three body types you are can help you customize your workout plan. While there are numerous training programs to choose from, tailoring your training to your body type (somatotype) and goals will help you start seeing results faster, which means you're more likely to stick with your new workout. Typically, people gravitate toward what they're good at and shy away from more difficult activities. But if your goals are to change your body, doing more of what's challenging is key. But don't think that means you have to do endless burpees until you reach your dream body. It's not so much which exercises you do, it's how you structure your workouts, taking into account exercise order, reps performed and rest periods taken. As mentioned above, there are three main body types: ectomorph, endomorph and mesomorph. But how do you know which one you are? Endomorphs have trouble losing weight and seem to gain weight even thinking about food (OK, not really, but sometimes it feels that way). They are typically shorter, have shorter limbs and are "curvier." For a celebrity comparison, look to Jessica Simpson, Hilary Duff, Chris Pratt or Seth Rogen. Ectomorphs the opposite of endomorphs. They're the people who seem to eat whatever they want and never gain any weight (think Natalie Portman, Bradley Cooper and Taylor Swift). They are typically taller, longer-limbed and thinner individuals. Mesomorphs are a combination of endomorphs and ectomorphs. They seem to gain muscle and shed fat with little effort (relative to the other two body types). They are usually average in height (but can be taller or shorter) and sport an athletic frame defined by more lean muscle mass. Once you find which category you fall in (or which types you're a blend of), it's easier to design a program that best suits your goals, needs and challenges when it comes to training. And don't forget: Workouts are only one part of changing your body. You also need to focus on the right nutrition for your body type. So keep reading to get your tailor-made workout and nutrition plan. Good news and bad news for endomorphs: While it's easier to gain size and strength, it's also more difficult to lose weight. So you want your workout to be balanced. Focusing on resistance training is still key, but performing more endurance training will help increase metabolic rate and shed fat. Endomorphs should focus on completing more work in less time (using shorter rest periods), performing more sets of moderate to high reps (eight to 15) and keeping an elevated heart rate through the majority of a session. They should also be performing additional endurance conditioning (yes, that means cardio) on the off days from the resistance training. The layout is the same as the ectomorph session, following the exercises in order of the sets. Here, the endomorphs will rest 45 seconds between 1a, 1b and 1c and take a 60- to 75-second rest before repeating the second and third sets. For the second block (2a, 2b, 2c and 2d), rest as little as possible between exercises and take 45 to 60 seconds after completing all four exercises before repeating. Do this workout three times a week, focusing on cardio and conditioning on the off days. 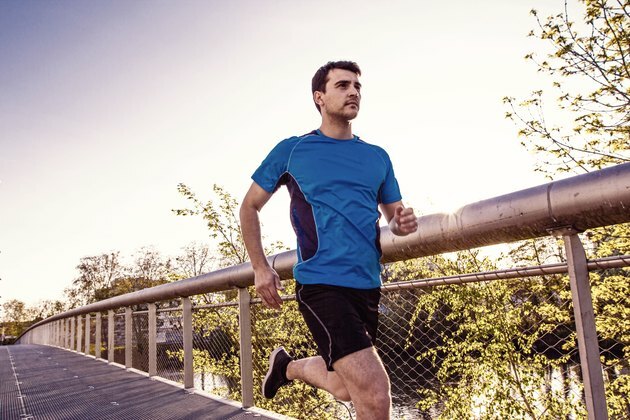 On two off days, aim for 30 to 60 minutes of lower-intensity conditioning (six to seven on a scale of 10) like inclined walking, light jogging, biking, rowing or swimming. On one off day, do high-intensity intervals. (Rowing is a great option here.) Try completing 10 to 20 rounds of 20-second all-out sprints with 30 to 40 seconds of rest. Lastly, one day a week should be dedicated to rest and recovery. During this day, you should still stay active, but there's no need to push yourself. Walk the dogs, go for a hike or play beach volleyball. For long, lean muscles, you may also want to include Pilates, yoga, barre or indoor cycling into your workout routine. If you find yourself tending to bulk up in your lower body (as a lot of endomorphs do), focus the bulk of your strength training on your upper body to balance yourself out. But your strength training should still focus on all your major muscle groups. If fat loss is your goal, as an endomorph you need to be aware of the amount of calories you're consuming daily. If you're sedentary, you'll multiply your weight in kilograms (weight in pounds divided by 2.2) by 31 calories. If you're more active, you'll need between 33 to 38 calories/kg. And if you're extremely active, you'll need 35 to 60 calories/kg. If you want to lose weight, subtract 500 from that final number. Aim for an even macronutrient distribution: 30-percent carbs, 35-percent protein and 35-percent fat. Focus on high amounts of protein and veggies with a sufficient amount of healthy fats. Carbohydrates should come from mainly fruits and veggies (try to avoid high-carb foods, which are converted to sugar and usually stored as fat) and can be a little higher on training days. On the conditioning days, decrease your carbohydrates, which should mainly come from veggies. Being naturally leaner and finding it harder to gain weight, ectomorphs are encouraged to focus on resistance training and limit endurance-type training. So the name of the game is strength and hypertrophy (building muscle). In order to gain strength and size, ectomorphs should focus on slowing down training (rest longer between sets), using heavier weights for fewer reps (four to eight) and not targeting the endurance energy systems during training (you're not running a marathon here, so you don't want to feel as if you are). For this session, complete the exercises in pairs. For example, do one set of your deadlift (1a), rest 60 to 90 seconds, then a set of your dumbbell bench press (1b). Rest 90 to 120 seconds, and then repeat that sequence again for three total sets. Then move on to 2a and 2b using the same rest periods, finally finishing with 3a and 3b in the same fashion. Lastly, perform one or two sets of an exercise of your choice (biceps curls, triceps pulldowns, etc. — just not cardio!) until fatigue. You can do this session three times per week, resting a day in between sessions. 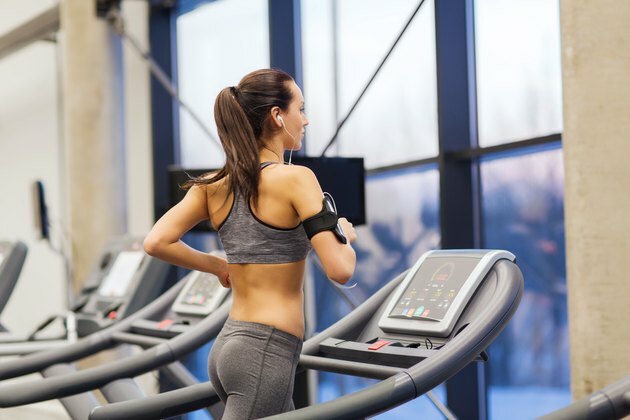 If you're an ectomorph, you should not be doing a ton of high-intensity cardio on your off days (even if that's your natural inclination), but you can stay active with low-intensity activities like walking, swimming or going through a dynamic warm-up. Compound movements are great for ectomorphs, as they maximize your workout time by working multiple muscle groups at once. So if you're burned out on your current workout, try incorporating lunges with biceps curls, squats with an overhead press or renegade rows with push-ups. Since ectomorphs have such a naturally fast metabolism, they must make sure to consume an adequate amount of calories and carbs. If you're sedentary, you'll multiply your weight in kilograms (weight in pounds divided by 2.2) by 31 calories. If you're more active, you'll need between 33 to 38 calories/kg. And if you're extremely active, you'll need 35 to 60 calories/kg. If you want to lose weight, subtract 500 from that final number (add 500 if you're looking to gain weight). Divide your macros between 50- to 60-percent carbs, 25- to 15-percent fat and 25-percent protein. Ectomorphs typically handle carbohydrates much better and should consume a sufficient amount of high-quality carbohydrates each day in order to support intense training sessions. Ectomorphs should also aim to eat every two to four hours, meaning you'll have smaller meals more frequently. Many consider mesomorphs "genetically blessed" because they usually gain muscle faster than the ectomorphs and are able to get (and stay) lean easier than endomorphs. For this reason, mesomorphs will want to train along the whole performance spectrum, focusing on strength, size and endurance. Training for mesomorphs should be based around resistance training through a broader rep scheme (three to 12 reps) and can be supplemented with high-intensity intervals as the primary focus for cardio. In most cases, dedicating a block of exercises to strength, a block to hypertrophy and a block to endurance works best. Mesomorphs have to be careful not to gravitate to far to one end of the spectrum: They'll lose muscle mass if they're too focused on endurance conditioning and will gain excess fat if they're only performing heavy resistance training. Starting with a block of exercises focusing on strength, complete the 1a and 1b exercises, with 60 to 90 seconds of rest between the exercises and 90 to 120 seconds rest between each round. For the second block, rest 45 to 60 seconds between exercises and 60 to 75 seconds between rounds. The third and final block is designed to be a little more metabolic, so rest 15 to 20 seconds between exercises and 30 to 45 seconds between rounds. On your off days, perform two days of high-intensity intervals, choosing between sprints, rowing, biking and performing 10 to 15 rounds of 15 to 20 seconds on and 30 to 45 seconds off. The other two days of the week can be dedicated to recovery with light activity. If you notice that fat accumulation is higher than you want, you can take one of the recovery days and perform a light conditioning session (a six to seven on a 10 scale) for 30 to 45 minutes. Once again, mesomorphs fall somewhere in the middle, so your macros should be split pretty evenly between carbs, protein and fat (getting a third of your calories from each of those groups). If you're noticing more fat accumulation than you'd like, cut down on the carbs a little. Like endomorphs, decrease carbs on conditioning days. But if you're doing high-intensity intervals, you'll still want a few extra carbs around training time to ensure that excessive muscle degradation doesn't occur (because no one wants that). What body type do you most closely match? What are your current fitness goals? Are you looking to build muscle, lose fat or maintain your bodyweight and improve your fitness level? What do you think of the workouts and nutrition for your body type? Will you give this plan a shot? Or if you've already done something similar, did it work for you? Share your thoughts, stories and questions in the comments section below!